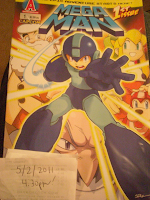 As a die-hard fan, I expected a bit more out of Mega Man and Mega Man X: Official Complete Works. Don't get me wrong, both books are excellent, all-in-one sources for official and conceptual artwork, but each lacks in terms of the obscure. 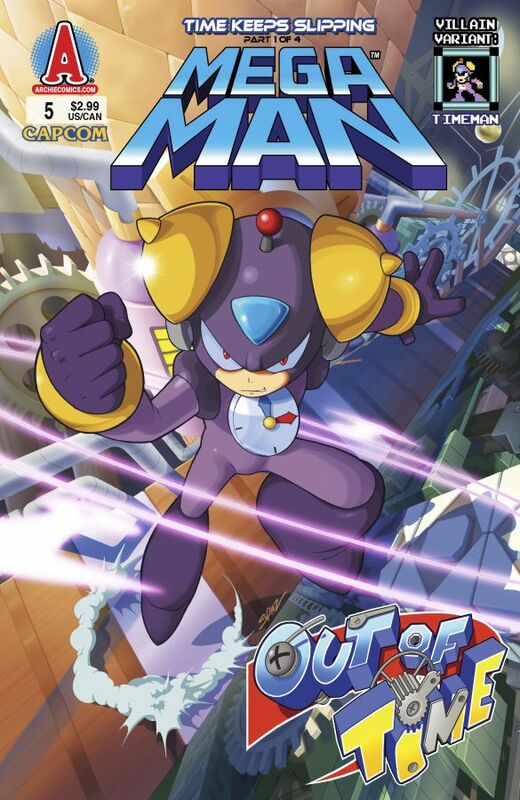 For example, where was the Mega Missions trading card art in MMXOCW? 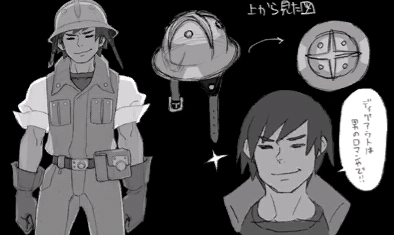 The gashapon packaging illustrations in MMOCW? 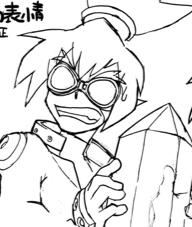 The truckloads upon truckloads of CFC artwork? 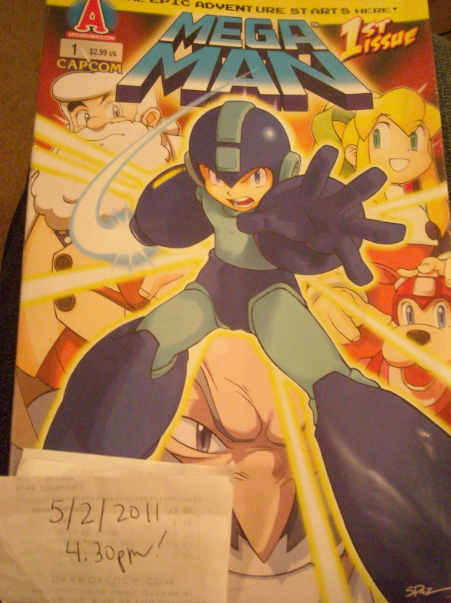 A considerable amount of official materials have been left out of both books; which raises the question if Capcom simply lost the original prints, or if they're intentionally withholding materials for future artbooks. Some of the rarest pieces, a series of seasonal themed images drawn by Shinsuke Komaki for Capcom's defunct Cyber Channel, seem to suggest the latter. 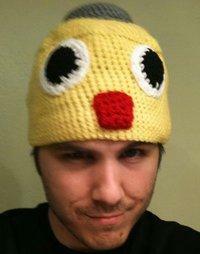 Being a major MMOCW contributor, it's a mystery why these pics were left out; however, we may yet see them again. A couple months back, through a bit of phone tag, I came in contact with Komaki. A personal fan of his work, I attempted to see if I could squeeze out some rare goods, using the above pieces as examples. Although honored to have an admirer in the West, he expressed no desire to release his work publicly, at least, for the time being. 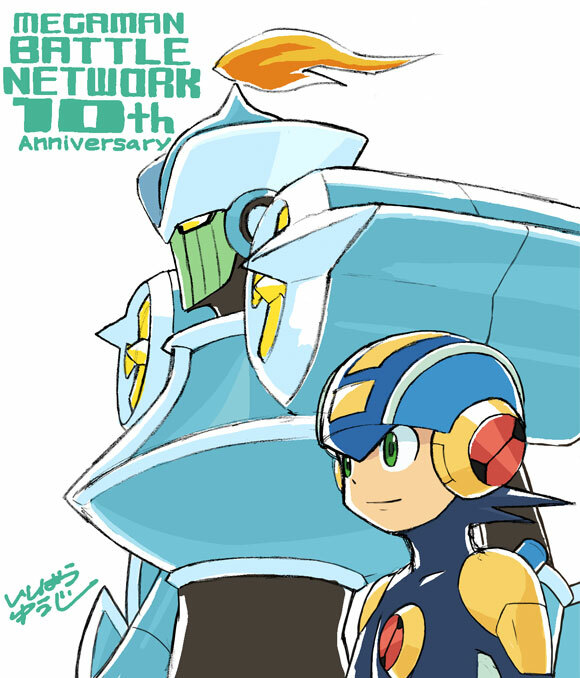 Komaki let slip that his "unreleased pieces" were currently under review for a new Rockman artbook. 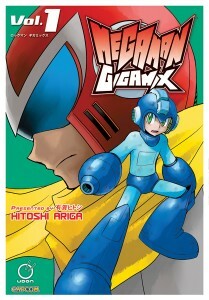 He didn't say much else, but heavily implied (through some minor broken English), a new classic series artbook was underway as of February 2011. 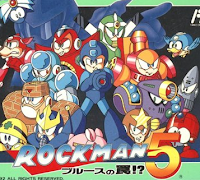 We've yet to hear of such a project officially, but with the series' 25th anniversary on the horizon, an influx of homage and tributary related projects are expected. 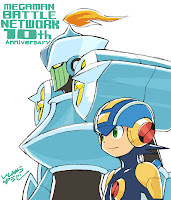 A new artbook would not be surprising in the least; given how successful the OCW books are domestically and abroad, Capcom would be crazy not to put out more books. 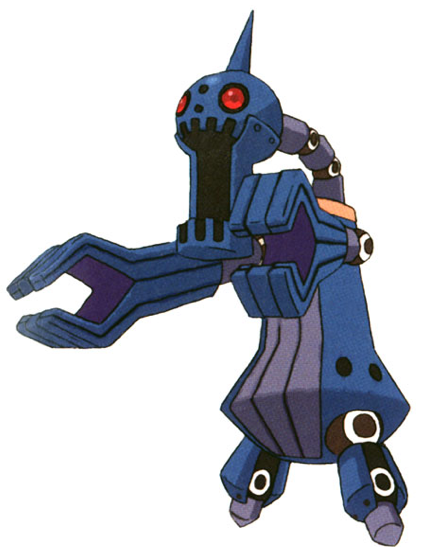 We'll watch where this one goes, but hey, I'm all for another OCW, albeit one a bit more "complete." Contrary to popular belief, Inti Creates does more than produce Rockman games. 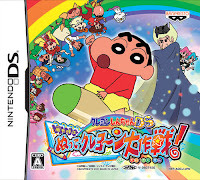 While the Zero series certainly takes the crown as the developer's most successful brand, titles based off of the popular Crayon Shin-Chan franchise comes in at a close second. 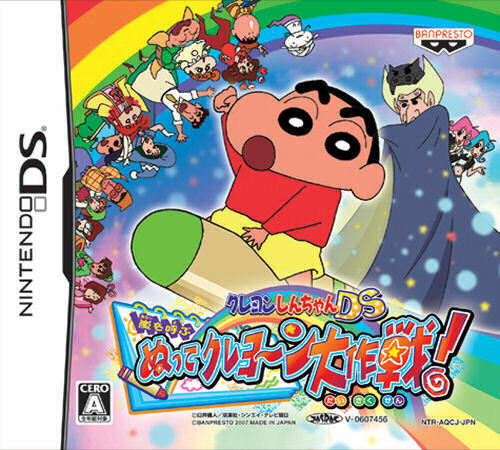 Inti proudly holds the rights to produce portable titles based off of the colorful property that is Shin-Chan, a popular character in the east that has often been cited as the "Japanese Bart Simpson." 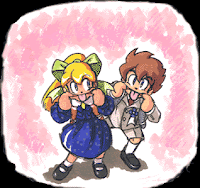 While the character is just now beginning to propagate outside of Japan, Shin-Chan games continue to remain exclusive to Japan, and as such, this neat tidbit of trivia goes mostly unheard of to the rest of the world: Turns out, one Inti developed Shin-Chan game in particular is heavily based off of Rockman gameplay mechanics. 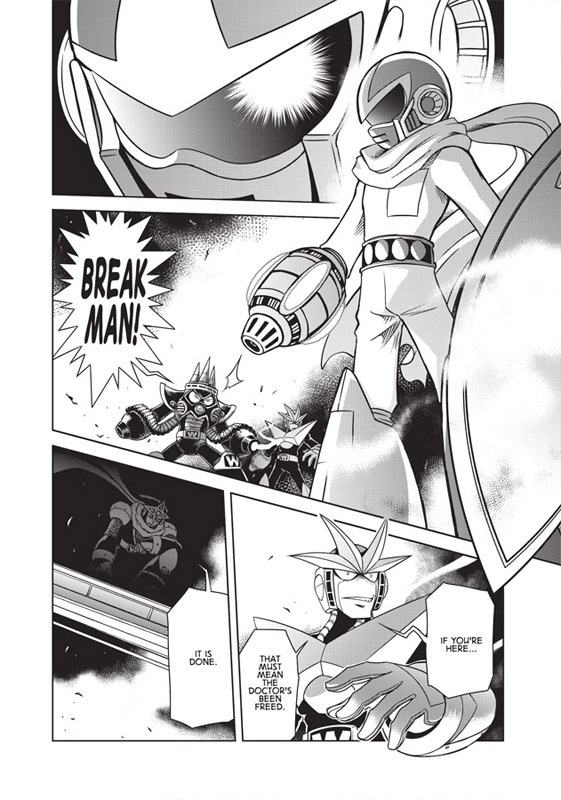 New Life For Maverick Hunter, Powered Up? In a bit of interesting news, to say nothing of unexpected, Sony is gearing up to port PSP titles in HD format for the PlayStation 3. 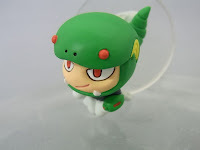 Capcom, sure enough, is quick to jump on this new venture with an HD port of Monster Hunter Portable 3rd. Ah, see where I'm going with this? 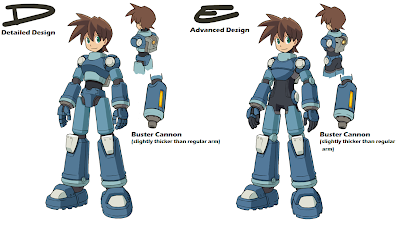 The PSP is home to, arguably, two of the best Mega Man games in recent years: Mega Man Powered Up and Maverick Hunter X. 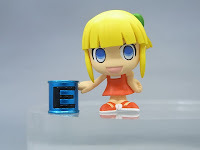 Received well by fans and the gaming press alike, both titles, unfortunately, failed to find a place in the market, selling far below Capcom's expectations on a global scale. It's easy to play the blame game, but the longstanding theory is that the games simply couldn't find an audience on the PSP, a system that, at the time of both games' release, had very little market share. 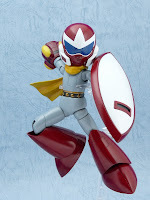 In the coming years, both titles received new life on PlayStation Network, though only Maverick Hunter X would be available outside of Japan; Powered Up suffered compatibility issues. We don't have the numbers behind the PSN versions, but it couldn't hurt to give the two games another chance at finding the audience they deserve. The prospect of PSP to PS3 High-definition ports gives rise to an idea that's been in the forefront of many minds since the PSP Remaster program was announcement made yesterday: HD ports of MMPU and MHX. 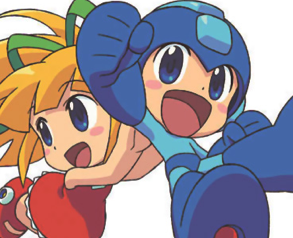 Aside from Monster Hunter, Capcom has been mum on further plans for the PSP Remaster program. We don't know what they have planned long term, but I think we have a good chance, a very good chance, of getting and HD MMPU/MHX to happen. All it's going to take is a little fan support. 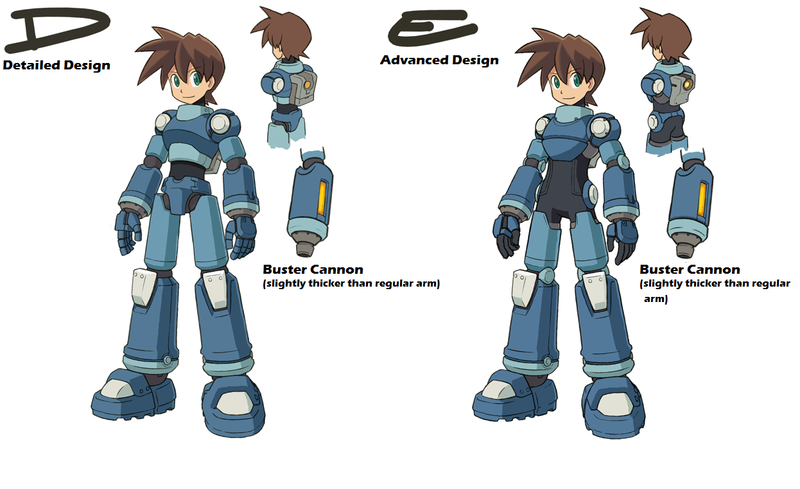 The idea is currently being churned amidst the fanbase: A single Blu-Ray disc housing both Maverick Hunter and Powered Up, complete HD visuals (that applies to "Day of Sigma", too) Dual Shock 3 support, optional 3D display, and maybe a few extras. 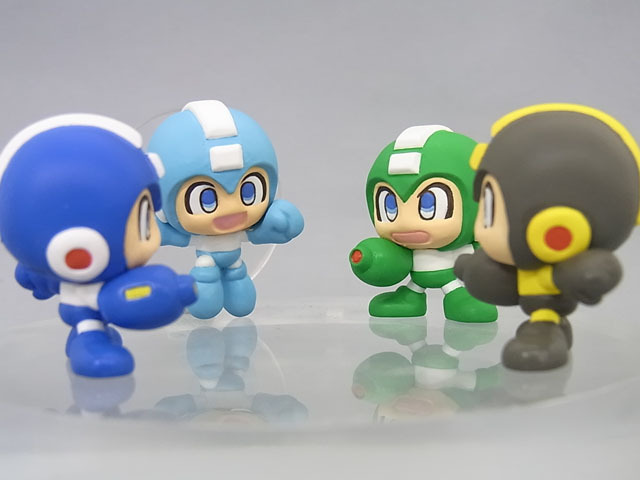 A single package boasting two great games at a steal of a price; fans get a chance to play them on the BIG screen, newcomers get a chance to actually play and enjoy them. If you're interested in HD version of these games, simply raise your voice! 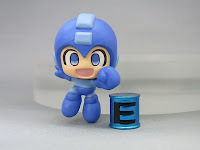 You've got two great outlets to voice your opinion: the Ask Capcom forums, and the Suggestion Box. The demand for a revitalized MMPU and MHX is there, it just needs to be directed at the source. Certainly, we'd all enjoy some sequels out of these two games instead of more ports, but for that to happen, the originals have to be somewhat successful in a financial sense. 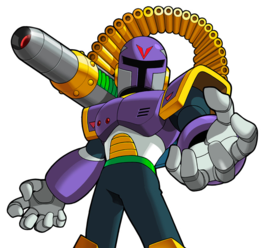 So, if this is something relevant to your interest, give Capcom a holler. A little demand can go a long way. 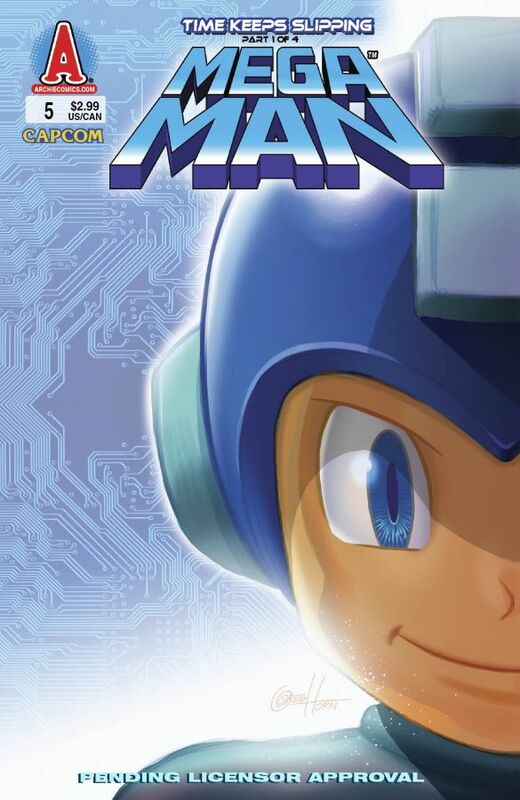 Archie Comics have revealed both the standard and variant cover for the fifth issue in their Mega Man comic series. Yes, while some of us are still awaiting on issue #1 to hit mailboxes (me! 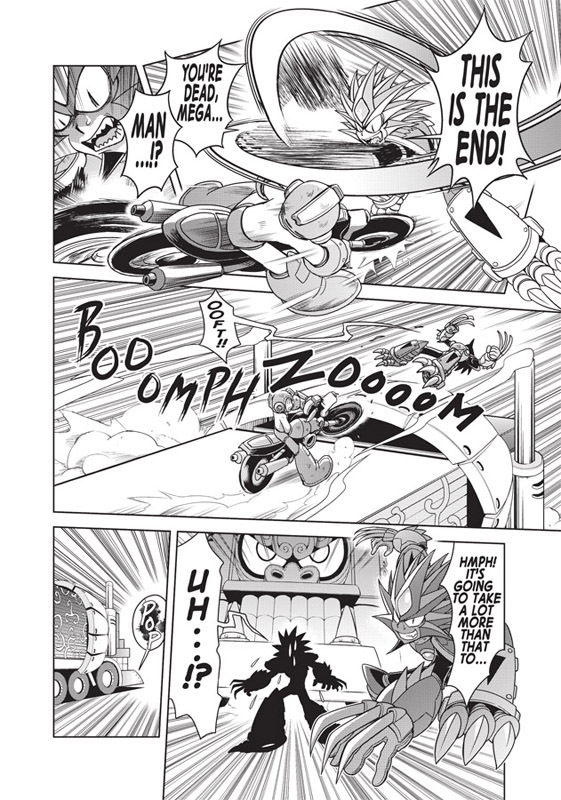 ), Archie is quite ahead of the game. Nevertheless, check them out! 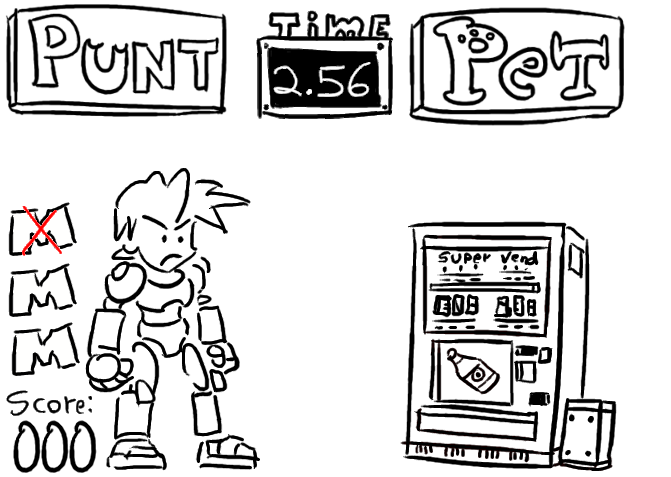 "Time Keeps Slipping” Part One: The evil Dr. Wily may be in jail, but that doesn’t mean the adventures are over for Mega Man! 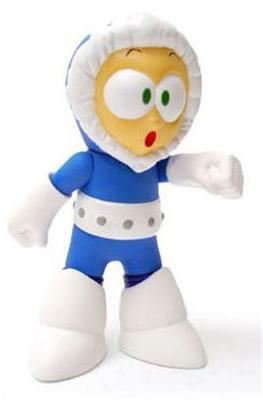 Federal agents are investigating Dr. Light for ties to the Robot Masters‘ rampage while sinister figures lurk in the shadows. 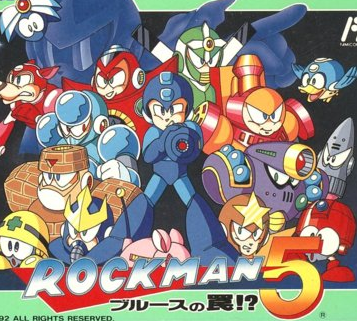 And why does Dr. Wily look so smug in his jail cell? 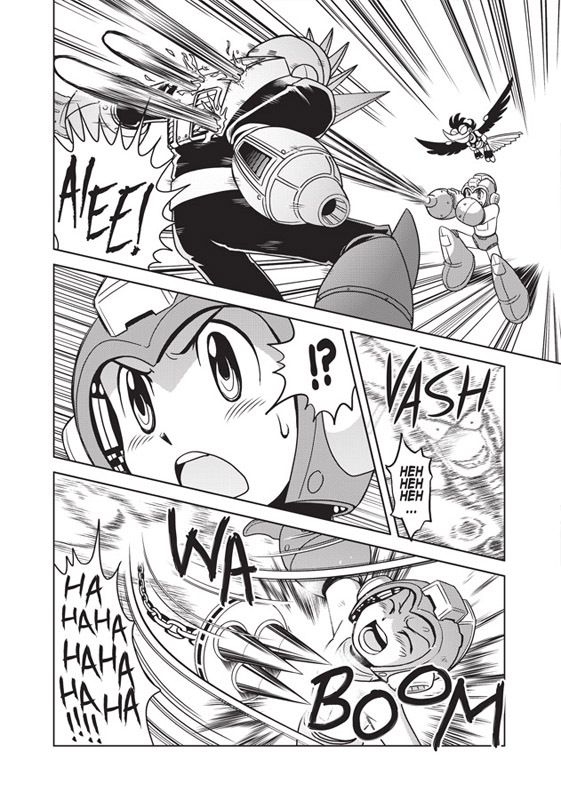 Don’t miss the beginning of the newest Mega Man adventure! Featuring a painted cover by fan favorite artist Greg Horn!" Issue #5 is due out for subscribers on August 24, comic shops on September 7, and newsstands everywhere on September 13. Issue #5 marks the departure of series regular Patrick 'Spaz' Spaziante. In his place, Chad Thomas, artist of past cover variants, will be taking up the pen for the interior artwork. If you want to see Spaz continue his work on the comics, send Archie a line, and make your voice heard! 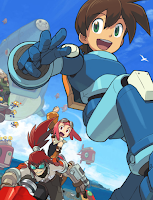 Mega Man Legends 3 was supposed to launch right alongside the Nintendo eShop on June 6, right? 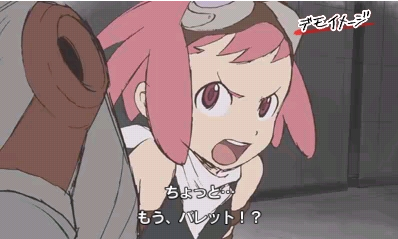 Unfortunately that's no longer the case -- it's been delayed, reports Famitsu. 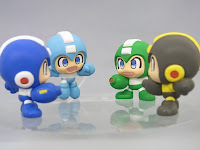 According to Famitsu, Capcom chose to delay the game as a means to improve the quality of the product. A new release date has not been determined. Meanwhile, as of this writing, Capcom Japan nor Capcom US have yet to announce the delay on their respective Legends 3/DASH 3 communities. That news should be forthcoming, however. Disappointing, to say the least, but hopefully this will lead to a far better game. 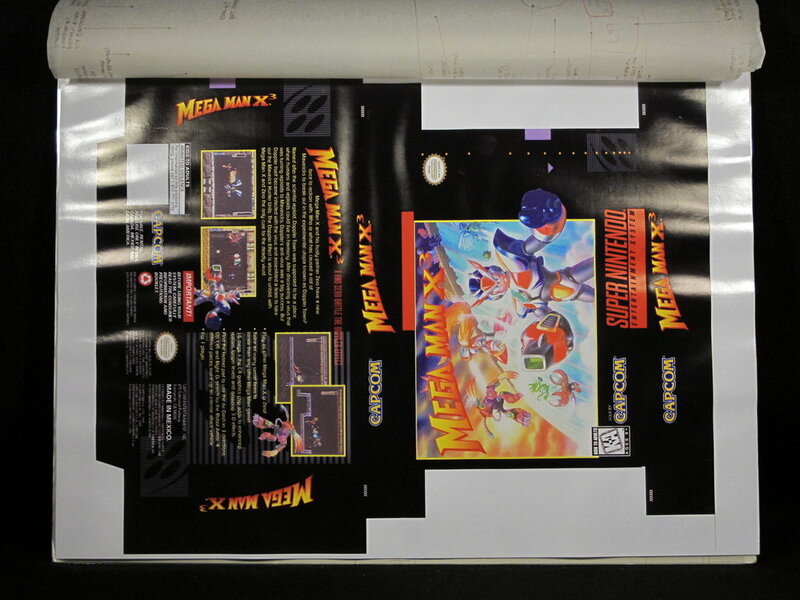 We'll keep an ear out for the new release date, but I think it's safe to say Prototype will release after E3. Not a huge surprise given that Bandai's been dropping subtle hints all over the place, but now it's official. 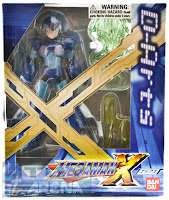 According to online retailer AmiAmi, Full Armored Rockman X is due out for release in September. 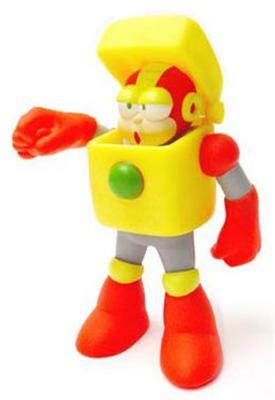 This is a brand new figure, not a set of parts for the original D-Arts X. 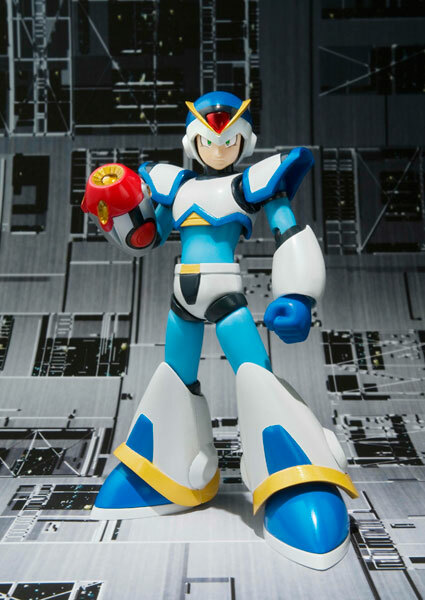 However, the figure does contain interchangeable joints, so you can mix and match between X and the D-Arts Zero. 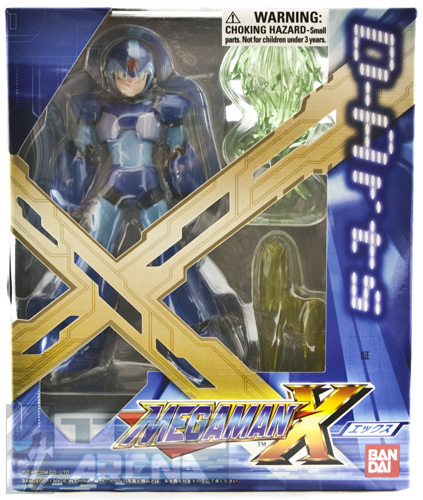 Of course, that's not to say Full Armored X won't come with his own set of accessories, said to include "Hand Parts x 2, Right Arm Part, Hand Wrist, Shot Effect Parts, Charge Shot Effect Parts." You can pre-order the figure and scope out some additional images at AmiAmi. 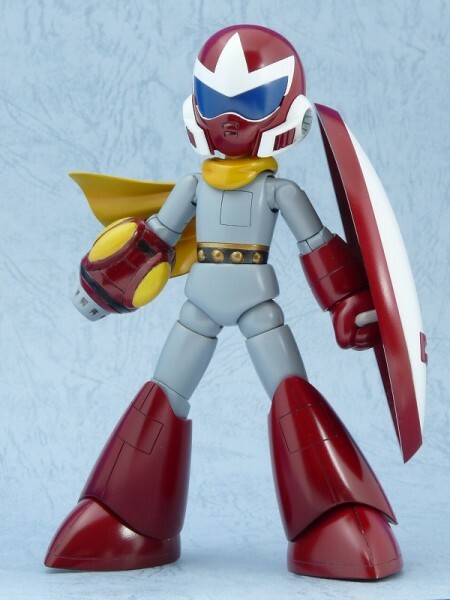 Bear in mind: Bandai is brining the D-Arts Rockman figures Stateside this summer, with Full Armor X likely just around the corner. Might want to consider holding off importing! 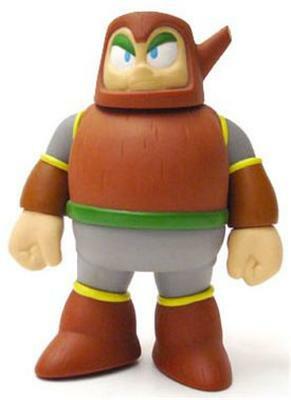 Can fans of the Blue Bomber expect more Mega Man merchandise to come from toy licensee Jazwares? Certainly! As we eagerly await the manufacturer's new line of figures, Jazwares appears to be looking to the fans for ideas for future Mega Man products. 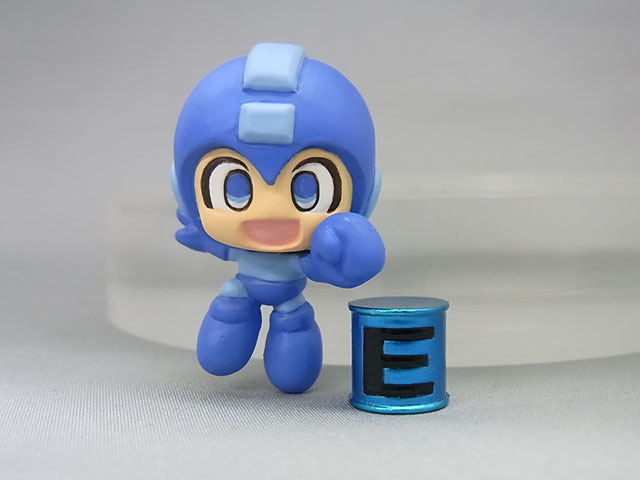 A post over at Jazware's official Facebook page is encouraging fans to send in "wish lists and ideas" for Mega Man products. While there's no guarantee your ideas will come to fruition, the company assures participants they are listening. 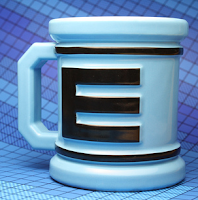 You can drop Jazwares a line directly at the Facebook post, or fill out their customer service form. 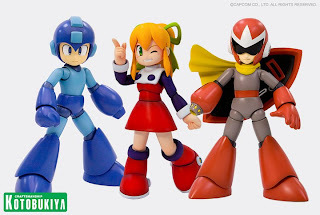 Some of the more popular choices voiced by fans include Roll, Bass, ZX-inspired figures, and Legends 3 characters. Seriously, you're free to suggest whoever you want! No strings attached! Click the above links and speak your mind. A little fan support can go a long way. Capcom has let loose a few minutes of new Rockman DASH 3 Prototype Version footage. 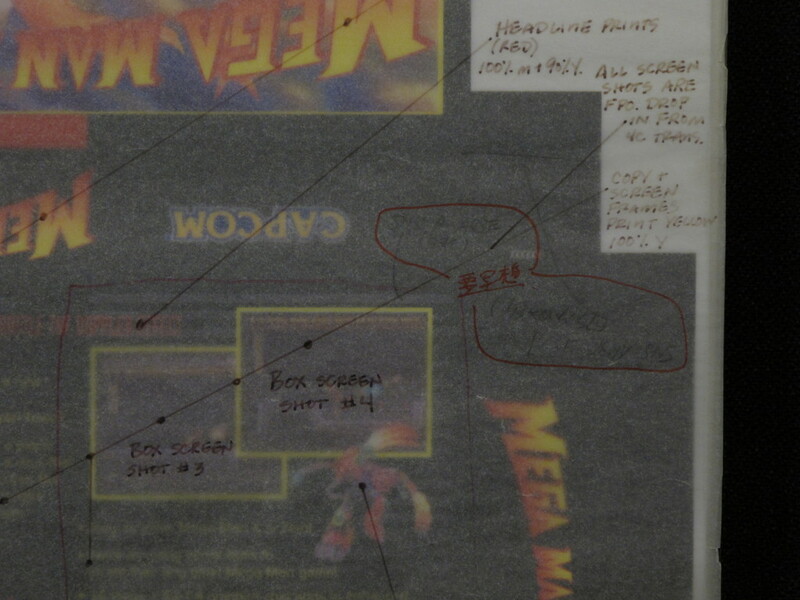 We get a better look at some of the game's missions, though the camera cleverly dodges any glimpses of the bottom screen--its contents remaining largely a mystery still. Contrary to original reports, Nintendo will not be launching the Nintendo 3DS eShop this month. 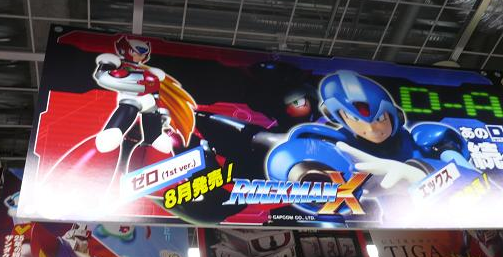 The company tonight announced the long awaited firmware update will hit Japan on June 7th, with Rockman DASH 3 Prologue (aka Prototype Version) being among the service's initial launch titles. 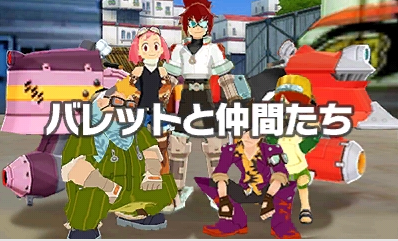 DASH 3 Prologue will run 3DS owners a mere 200 Yen, or the equivalent of two US dollars. 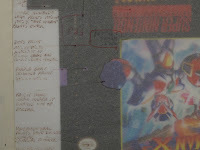 The demo will boast over ten playable missions, and allow access to a number of neat behind-the-scenes features such as a debug menu. It is Capcom's hope that, by experiencing the game first-hand, players will be able to provide even more feedback on the project's development. 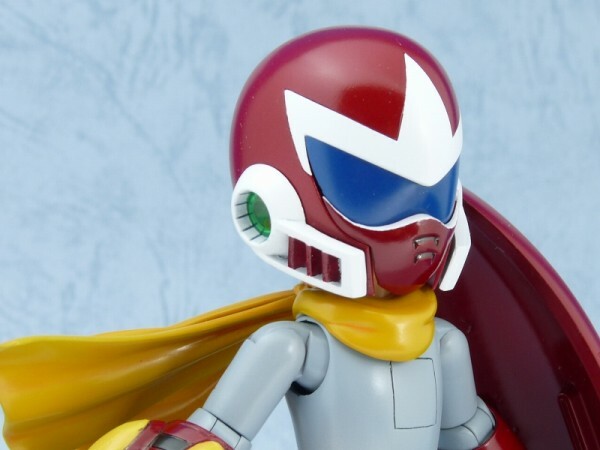 Unfortunately, Nintendo did not comment if the delay affects North America or Europe. It's plausible the service will go live internationally around June 7 too, but we've yet to hear otherwise. Further, recent sightings of pre-paid eShop gift cards at Best Buy have swayed some into believing the service might be available days or weeks ahead of Japan. All speculations, of course; nothing is official until the big N says so. UPDATE: Nintendo of America has confirmed the eShop will launch in North America on the evening of June 6th. I'll certainly be keeping an ear out. Stay tuned! Is your collection in need of a one-of-a-kind piece of Mega Man history? Look no further than this auction for authentic Mega Man X3 package design materials-- real blueprints used by Capcom when designing the game's North American packaging! 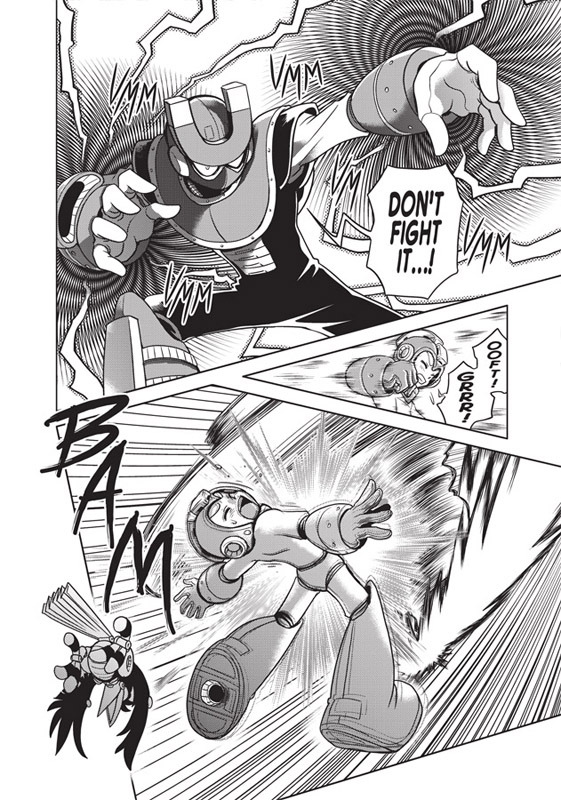 Mega Man X3 itself is rare enough as is, but this? This is quite a doozy. 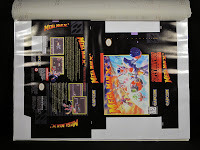 As evident by the provided photographs, the design board contains a mock-up of what would become the game's final box art. 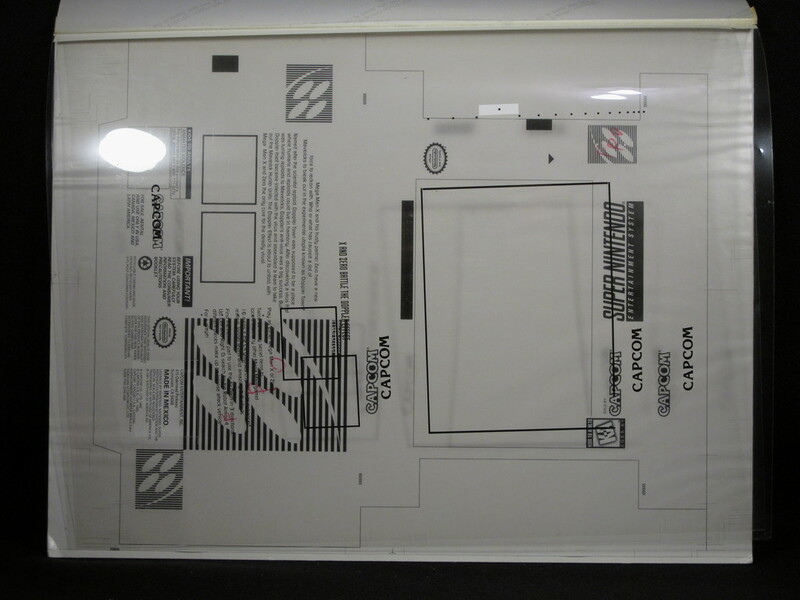 Sheets of translucent paper contain all sorts of handwritten design notes, measurements, and other miscellaneous details that aided in the box's design. 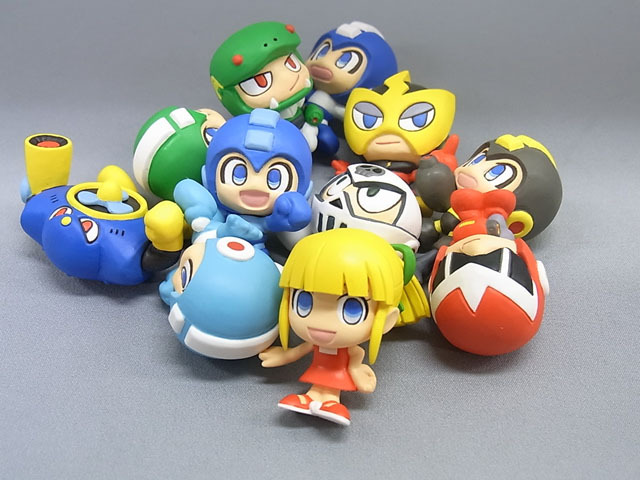 All sorts of other supplemental assets are included as well, which may interest not only Mega Man fans, but Nintendo fans as well. 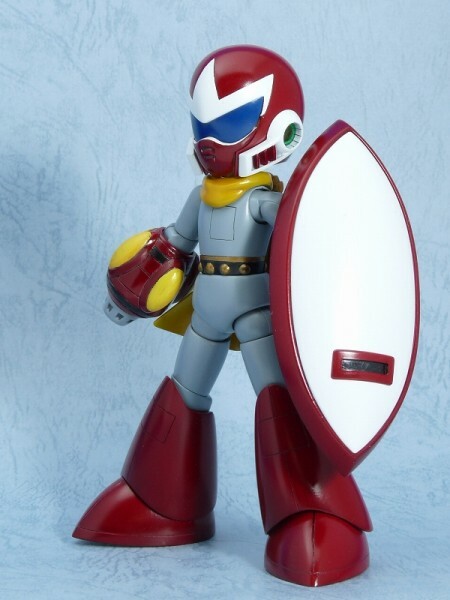 Unfortunately, owning such a cool piece of Mega Man history comes as a price: a staggering $999.95. On the bright side however, shipping is free! That's good to know, right? If you're interesting in purchasing or just want to check out more images, click here!